Terry Teachout, the Wall Street Journal’s music/drama critic, has crafted an extraordinarily well-written tribute to Cy Walter’s artistry which also heralds the timely Cy Walter Centennial release of Harbinger Records’ two-CD set, Cy Walter: Sublimities, Vols. 1 and 2 (available for purchase on Amazon). Terry’s lyrical prose applauds Cy’s musical genius and seeks to ensure that many more people discover and enjoy it. The article appears directly below, but you may need to wait a few moments for it to appear while the site loads the image. For an excellent 23 December 2015 review of these Sublimities CDs by author Frank Behrens which appeared in the Brattleboro, Vermont Reformer newspaper, visit http://www.reformer.com/ovation/ci_29304321/keyboard-artistry-cy-walter . And a 21 March 2016 review by film critic Leonard Maltin may also be enjoyed at http://leonardmaltin.com/a-jazz-approach-to-vertigo/. This historic event went superbly, with a packed house, a joyously-entertained audience, and incredible performers who showcased Cy’s music brilliantly. Four excellent reviews you may wish to check out are that of Alix Cohen’s, on Broadway World; that of Peter Haas’ on TheaterPizzazz; that of Linda Amiel Burns on theaterscene.com (replete with terrific photos by Maryann Lopinto); and that of Marilyn Lester for Cabaret Scenes Magazine. 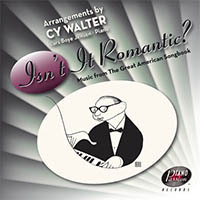 You may also view the amazing performance of Cy Walter’s original composition, “The Astaire”, as created by vocalist Steve Ross, The Cy Walter Celebratory Orchestra, and superb dancers Heather Gehring and Lou Brockman, at The Cy Walter Foundation’s YouTube Channel, or by going to https://www.youtube.com/watch?v=e2wgxqpAhYo. Below is a superb video of the Centennial Celebration created by the talented Michael Stever and incorporating the excellent multi-tracked audio recordings created by expert audio engineer Rubin Nizri. Ideally, this should be watched in high definition mode. And below this video is another video of a separate slideshow that Richard Behrens crafted from images taken of the event by professional photographer Maryann Lopinto. We’ve placed these movies on The Cy Walter Foundation’s You Tube channel, with their direct links respectively being https://www.youtube.com/watch?v=Nxxzj7273E8 (this being the actual show video, in its entirety); and https://www.youtube.com/watch?v=7v3H4Z5hVA4 (this being the photo slideshow video). Or you may access them directly on the video links below. 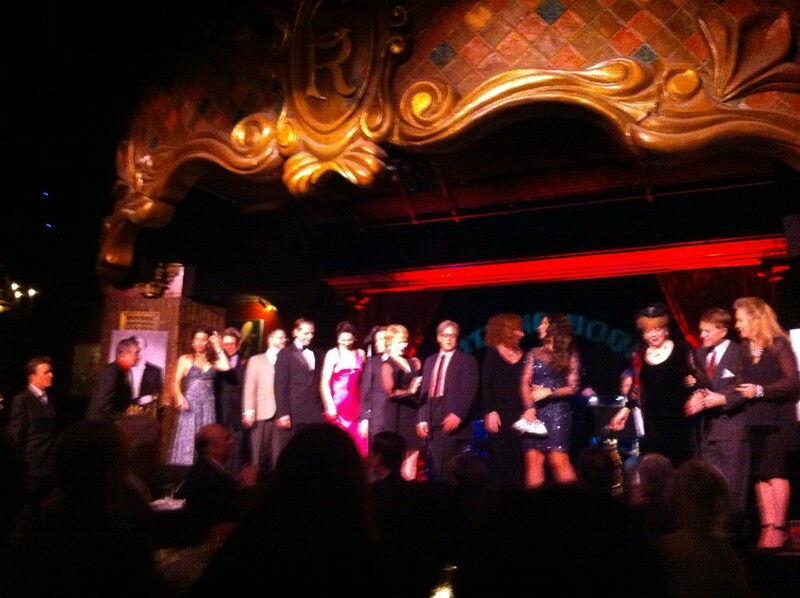 As noted in these two videos, the awesome performing cast for this event included Doug Bowles; Lou Brockman; Eric Comstock; Jed Distler; Barbara Fasano; Musical Director Tedd Firth; Heather Gehring; Jeff Harnar; Alex Hassan; Jenny Lin; Peter Mintun; Marissa Mulder; Karen Oberlin; Steve Ross; Jennifer Sheehan; KT Sullivan; Stacy Sullivan; Ronny Whyte; and The Cy Walter Celebratory Orchestra. This amazing orchestra was comprised of the following musicians: Saxophones: Marc Phaneuf; Dan Levinson; Mark Lopeman; Kurt Bacher; Trumpets: Brian Pareschi; Evan Barker; Irv Grossman; Trombones: Matt Musselman; Mike Boscarino; Piano: Tedd Firth; Bass: Tom Hubbard; and Drums: Peter Grant. We have also, in segments created by Richard Behrens, put up individual performer videos on the Cy Walter Foundation’s YouTube Channel. Enjoy! Pianistic and vocal pyrotechnics to be performed by a large roster of awesomely-talented cabaret luminaries, focusing upon Cy’s unparalleled solo and duo piano arrangements, along with up to two dozen of his gorgeous original song compositions. Virtuousic accompaniment by the twelve-piece orchestra of The Cy Walter Celebratory Orchestra, with musical direction by the inimitable Tedd Firth. Join us on Sunday, the 27th of September, 2015 from 6:00 to 9:00 p.m. (doors open for drinks/dinner at 5:00 p.m.) at The Cutting Room, 44 East 32nd Street (between Madison and Park Avenues), Manhattan. Tickets $30 in advance, $35 at the door, with a $20 food and drink minimum; available at www.thecuttingroomnyc.com, or call 212-691-1900. Seating is limited, and this unique event, indubitably one for the ages, will not be repeated. So purchase now, and embark with us upon a delightful 21st Century renaissance of mid-20th Century musical wonders! Welcome to the official Cy Walter Web Site. This is the only web site created and maintained by Cy’s family. We hope that you find this site to be a treasure trove of images, memories, and most importantly, music pertaining to this very special and unique musician. You can start your journey with Cy’s Biography or if you prefer, you may immediately listen to Cy’s Music. "[Cy Walter] played primarily in hotels and nightclubs, but he was no less talented than Tatum or Horowitz. So as far as I'm concerned, he ranks among the very best of any pianist of any order". "One night Noël Coward and I went to hear your father play. Noël's reaction to Cy's artistry was conveyed in his awed comment to me, "What a masterful command of his instrument he has!!!'" As related to Mark Walter, Cy's son, by actress Marian Seldes, during a 2010 Mabel Mercer Foundation/Noël Coward Foundation Award Competition event held at the New York City National Arts Club. Sunday, October 11, 2015, 3:00 P.M. 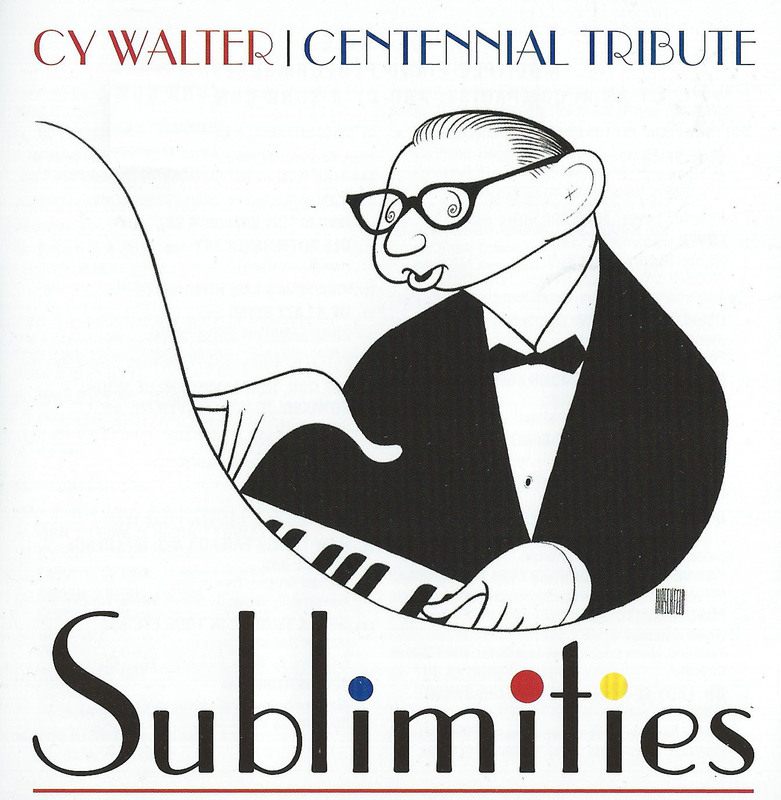 This multi-media concert will pay tribute to the marvelous pianist, Cy Walter, on the 100th anniversary of his birth. He had many titles: Park Avenue Art Tatum, the Michelangelo of Music, and the Grand Master of Harmony. Featured will be his incomparable arrangements of popular songs like Embraceable You, Isn’t it Romantic, Heart and Soul, and Begin the Beguine. 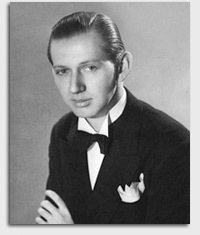 Volume 1: Cy as solo pianist, on commercial 78 rpm records and unique discs; and as recorded from radio show appearances (including on Cy's own The Cy Walter Show; the House of Squibb Broadcast; the Sunday Evening Party with Hires; The Songs by Sinatra Show; The Jack Smith Show; Keynotes by Carmichael; and ABC's Piano Playhouse program). 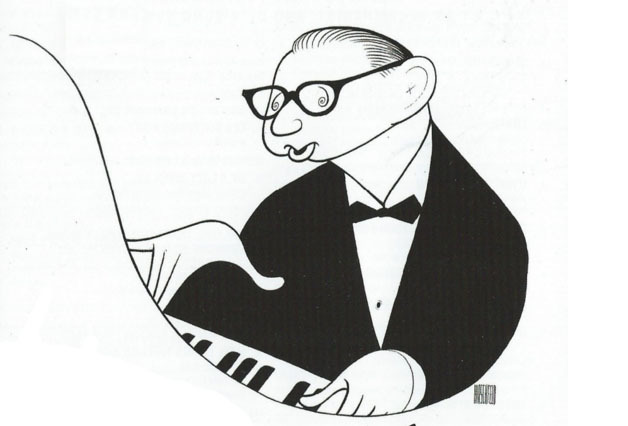 Volume 2: Cy as multiple piano keyboard artist, performing on ABC's Piano Playhouse program with pianists Inez Carillo, Bill Clifton, Stan Freeman, Walter Gross, Liberace, Forrest Perrin, Margaret Perrin, Art Tatum, Earl Wild, and Teddy Wilson, and with the ABC Symphony Orchestra; Cy as accompanist, on rare or unique records and radio shows, partnered with vocal artists Fred Astaire (with the Benny Goodman Orchestra), Helen Carroll and The Carolers, Hoagy Carmichael, Audrey Christie, Marlene Dietrich, Eileen Farrell, Bob Haymes, Mabel Mercer, Wynn Murray, Frank Sinatra, and June Valli; and Cy as song composer, with recordings of his either performing his own original song compositions or as performed by artists Buddy Barnes, Doug Bowles, Alex Hassan, and Steve Ross. To read an excellent 23 December 2015 review of these Sublimities CDs by author Frank Behrens which appeared in the Brattleboro, VT Reformer newspaper, go to here. Produced by Mark Walter, Ken Bloom, and Bill Rudman, this set is available for purchase through www.harbingerrecords.com. On two dates that included the actual centenary of Cy's birth (what would be his 100th birthday, or 16 February 2015), pianist and radio show host Jed Distler aired a program on Cy during which he included performances of Cy's music and portions of an interview with Mark Walter. This terrific show can be heard as an archived webcast by going to The Classical Network website, WWFM.Org, as the 15 September 2015 link, click here. 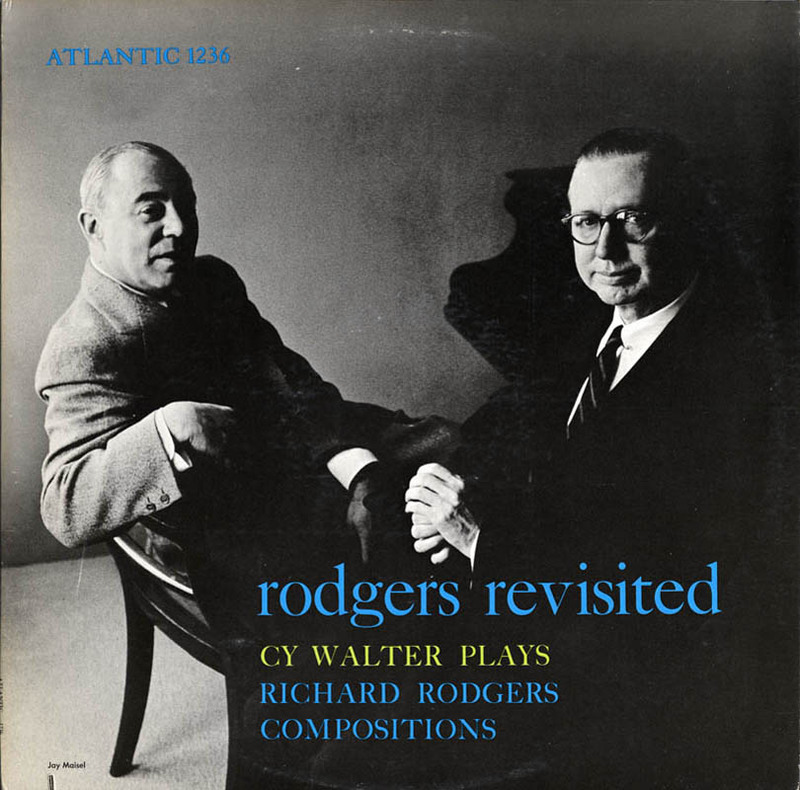 Cy Walter's Rodgers Revisited album has been released on CD by the Collectable label. Originally issued by Atlantic Records in 1956, this album is considered by many to be one of Cy's finest, and showcases Cy's love for Rodgers' music and the two musicians' life-long collaborations. 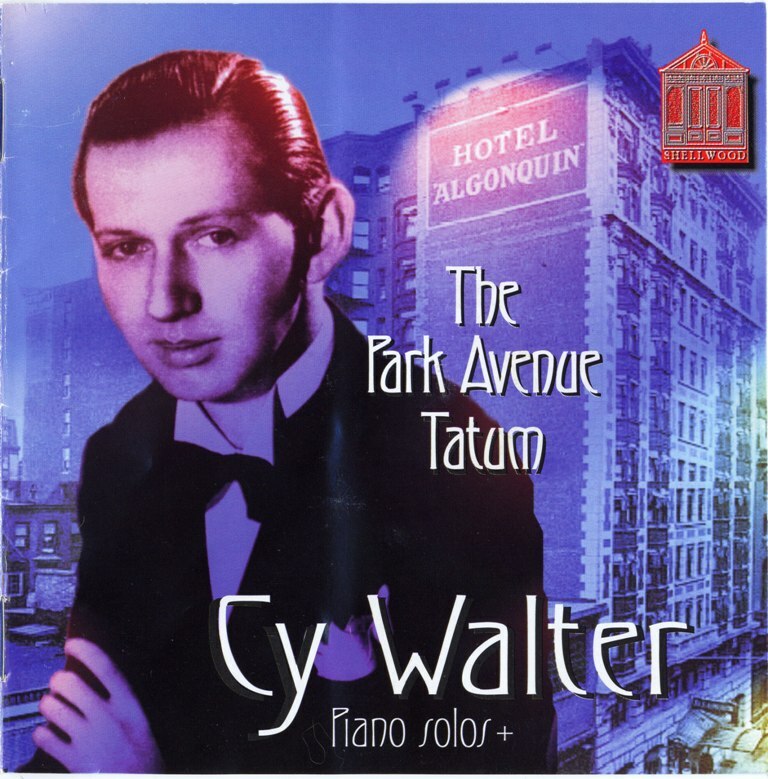 Due to the concerted efforts of Alex Hassan and others, a terrific disc entitled The Park Avenue Tatum: Cy Walter Piano Solos+ was produced by the British label, Shellwood. As this company has now ceased operations, the disc is, unfortunately, no longer being sold and so is now a collectors' item. Read The Downbeat Magazine Review of The Park Avenue Tatum from their February 2007 issue. 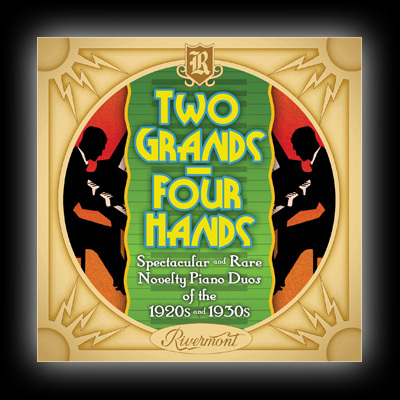 The piano duo of Cy Walter and Gil Bowers are included on this new CD compilation of Novetly Piano Duos of the 1920s and 1930s by Rivermont. The selections were compiled and annotated by Alex Hassan, a Falls Church, Virginia-based pianist who is perhaps the world's foremost expert on the Novelty Piano era of the early Twentieth Century, and include two Walter/Bowers medleys. Check out the Rivermont website and our CD section for more information. Lars Boye Jensen, a talented pianist from Denmark, has released the first-ever CD consisting entirely of Cy Walter's arrangements as played by another performer. Read the Liner Notes for Isn't It Romantic?, written by Mark Walter. Mark Walter, son of Cy Walter, was interviewed on Judy Carmichael's Jazz Inspired radio show in February, 2007. Listen to the excellent archived show and hear Mark talk about his father, the web site, the music and more. Click here to read Terry Teachout's very insightful Blog entries about Cy Walter "Lost Artist" "Rodgers Revisted"
On February 13, 2007, an Alec Wilder Centennial event was held at the Eastman School of Music in Rochester, New York. Pianists Tony Caramia and Bill Dobbins, among other musicians, peformed; as did Soprano Karen Holvik. The first of these MP3s has Tony Caramia and Karen Holvik performing Cy Walter's "Time and Tide"; the second has Tony Caramia performing Cy's 1965 arrangement of Alec Wilder's "While We're Young" as well as Bill Dobbins' 2004 arrangement of the same song (also performed by Tony Caramia). Listen to the performances here.